All water on planet Earth is constantly cycled from the atmosphere, into reservoirs, and through plants and animals. The Earth's water has completed this cycle around 8 million times. Water on our planet has been recycled about eight million times. Every drop of water follows a cycle which takes it to, and from the ocean. 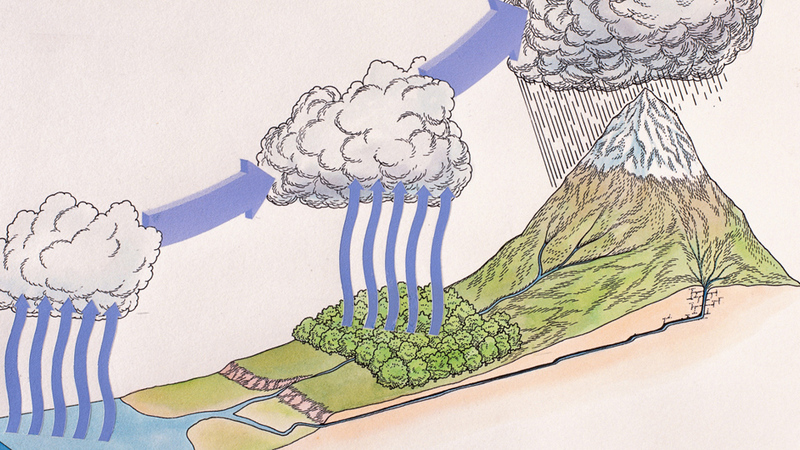 Water evaporates and is transformed into gas, which then condenses into rain. Water is sucked up through plants and released through Transpiration. The water you use every day is billions of years old. All water on Earth is constantly recycled, and has been on Earth since before life began.